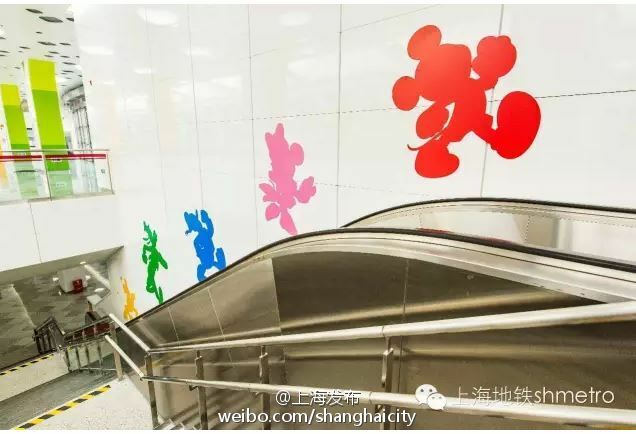 POUR LE MéTRO, ON A UNE IDéE DE COMBIEN DE TEMPS çA METTRA PLUS OU MOINS D'ALLER DU CENTRE DE Shanghai jusqu'à Disneyland ? Des tests sont en train d'être réalisés pour la station de métro Disney Metro (sur la ligne 11). 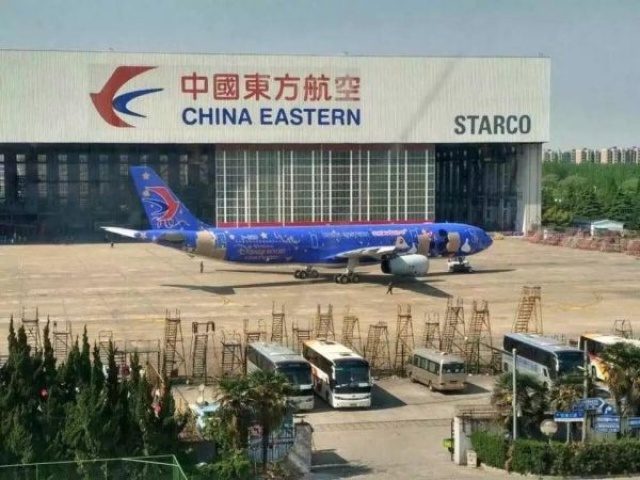 Nous sommes le 25 avril, voici le premier des six avions de China Eastern Airlines à être relooké Disney et le second est pratiquement achevé lui-aussi. Un second A320, un second A330, un B-737 et un B-777 les rejoindront par la suite. Philippe Gas, directeur général de Shanghai Disney Resort et Liu Shaoyong, Président de China Eastern Airlines. 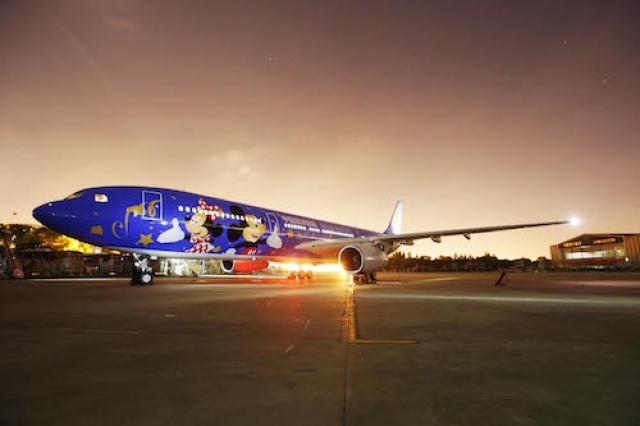 Special Shanghai Disney Resort-decorated planes to fly select routes to and from Shanghai starting this month. Shanghai Disney Resort and China Eastern Airlines Corporation Limited (“China Eastern”) have entered into a multi-year strategic alliance which recognizes China Eastern as an official sponsor of Shanghai Disney Resort and the presenting sponsor of Dumbo the Flying Elephant attraction. 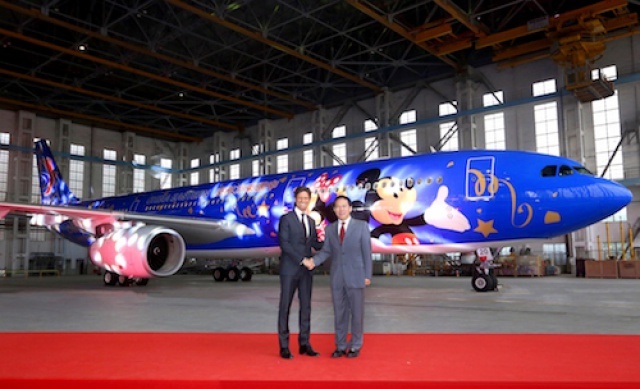 Earlier today, the first in a series of airplanes decorated with festive Shanghai Disney Resort designs and Disney characters was officially unveiled. 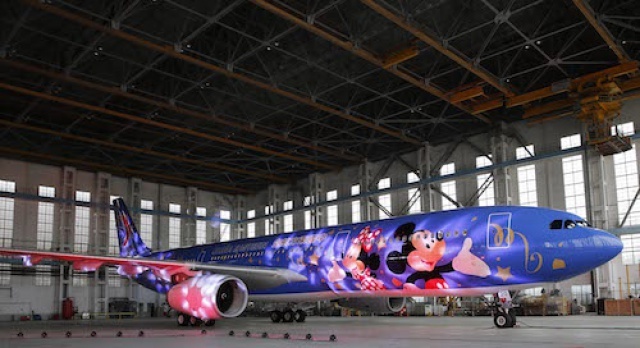 Additional Shanghai Disney Resort-themed planes will follow in the coming months and over the next few years. 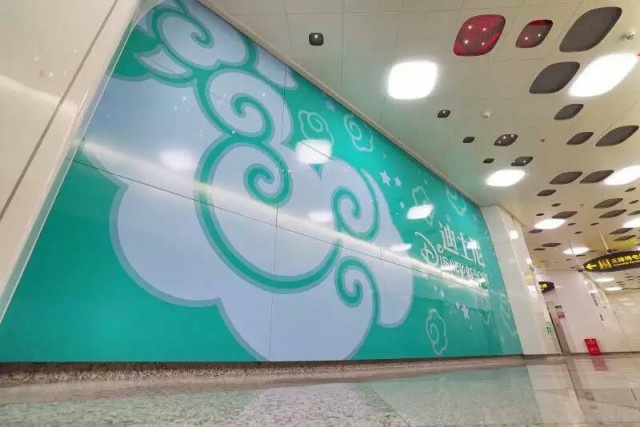 Initially, China Eastern will decorate two airplanes with specially-created Disney designs that include the Enchanted Storybook Castle at Shanghai Disney Resort as well as Mickey and Minnie Mouse welcoming guests to Disney’s latest resort. 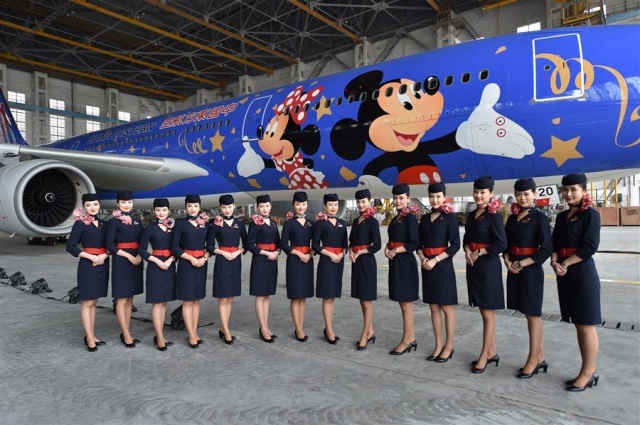 These themed planes will primarily fly to and from Shanghai. As part of the agreement, China Eastern will also sponsor Dumbo the Flying Elephant attraction, a classic Disney theme park attraction for the whole family. Dumbo the Flying Elephant attraction allows guests to soar through the air and control how high they fly. Along the way they’ll have spectacular views of Enchanted Storybook Castle and Gardens of Imagination in Shanghai Disneyland. “We know there is excitement throughout China for the upcoming opening of Shanghai Disney Resort and we are excited that China Eastern will be helping to fly visitors into the region where they will visit this magical vacation destination,” said Liu Shaoyong, chairman of China Eastern Airlines. Through this agreement, China Eastern will also have co-branding opportunities at the airports and on the themed planes. 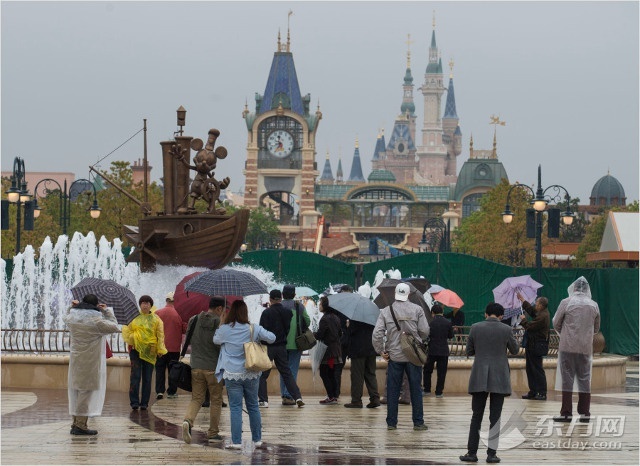 Shanghai Disney Resort - 25 avril 2016. Ooooooh moi qui part avec cette compagnie la semaine de l'ouverture du Resort, je croise les doigts pour avoir une mini mini chance de voler sur un de ces avions! ^^ mais ce ne sont peut-être pas des avions pour vols internationaux? J'ai précisé les différents types d'avions sur la page précédente : trois d'entre eux sont des moyen-courriers (A320 et B737) tandis que les trois autres assurent des vols long-courriers (A330 et B777). Les A320 et B737 pourraient êtres utilisés sont des routes internationales vers Séoul, Tokyo ou Manille par exemples mais pas vers l'Europe si c'était ce à quoi tu pensais. Par contre les A330 et le B777 pourraient effectuer sans problème des vols vers le continent américain ou l'Europe. Reste à voir les routes qui leurs seront assignées, mais en juin prochain seul deux des six appareils seront déjà en service avec leur nouvelle livrée Disney (un A320 et un A330). The Disney Resort Station, or the new terminal of Metro Line 11, will launch operation from 10am Tuesday. 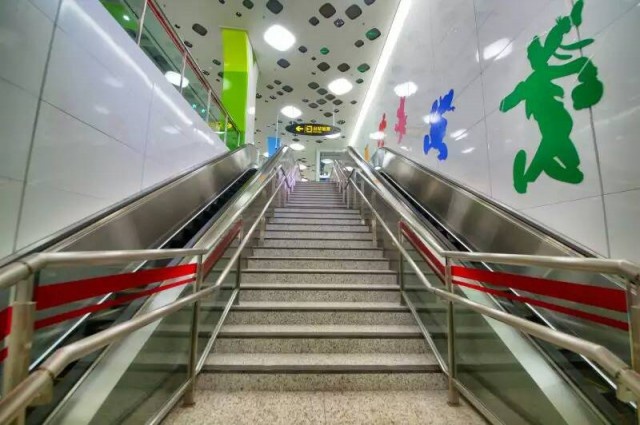 The Disney Resort Station, or the new terminal of Metro Line 11, will launch operation from 10am Tuesday, the Metro operator said. 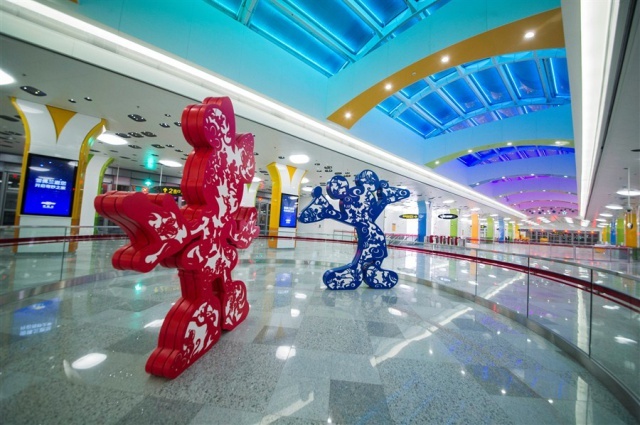 Two big sculptures featuring Mickey and Minnie, with Chinese papercut elements, stand in the middle of the platform. 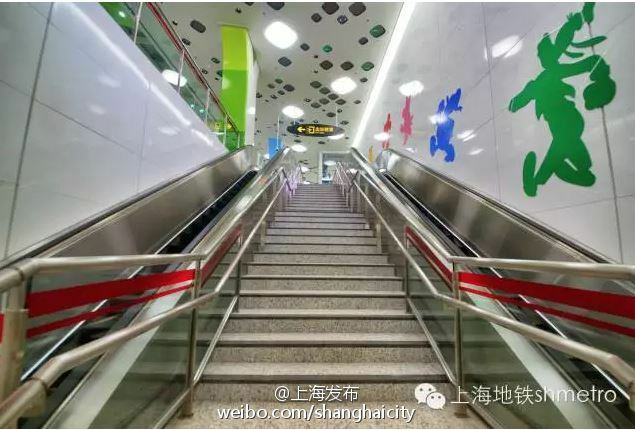 Visitors can walk to the Shanghai Disney Resort from Exit 1 of the station within 10minutes. According to the current timetable, the first train will leave the station at 6am, while the last one at 10:30pm. The timetable will be further altered to accommodate the operating hours of the resort after June 16, the Metro operator said. 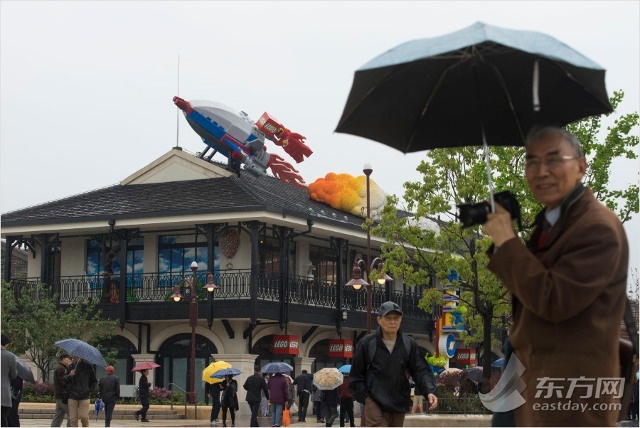 Shanghai Daily - 25 avril 2016. 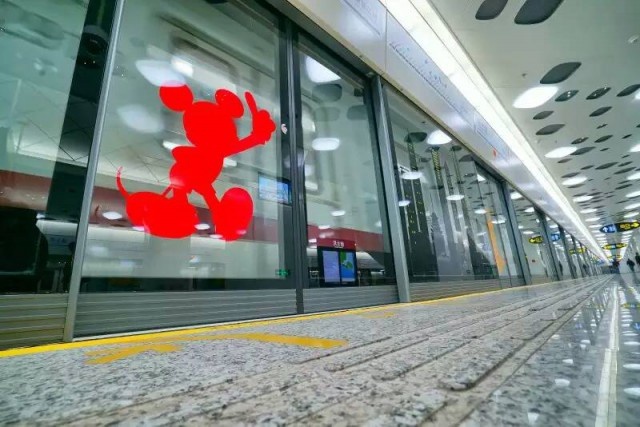 DISNEY Resort station on Metro Line 11 opens for business at 10am today, the subway operator said yesterday. 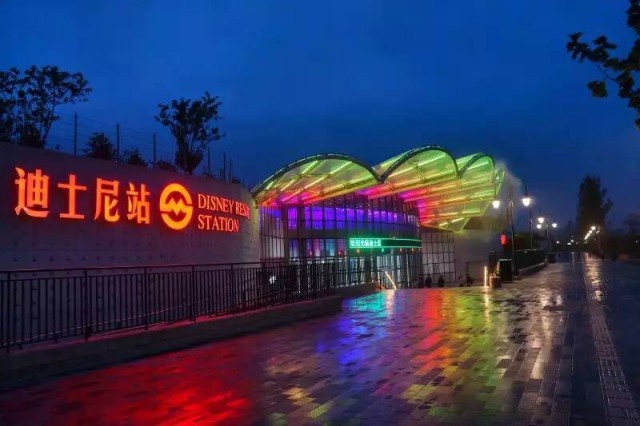 Set to become one of the busiest stops on the network, the station is just a 10-minute walk from the theme park, which is scheduled to open on June 16. 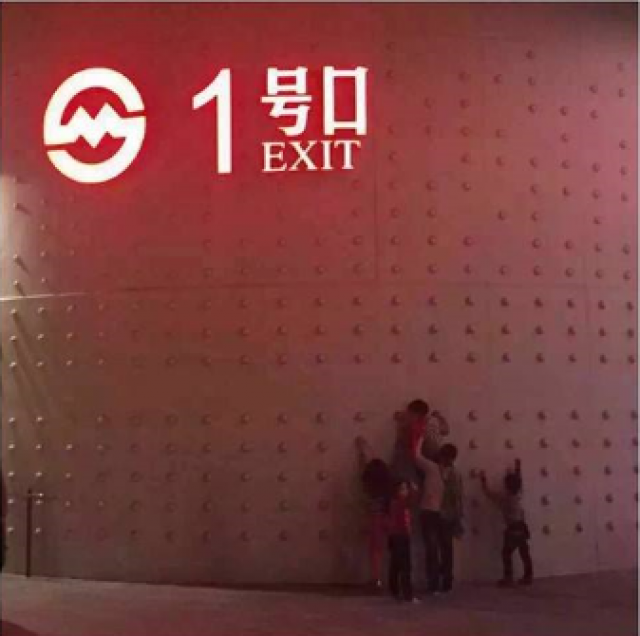 The station has four exits — No. 1 provides the quickest access to the rides — and a creche, the operator said. 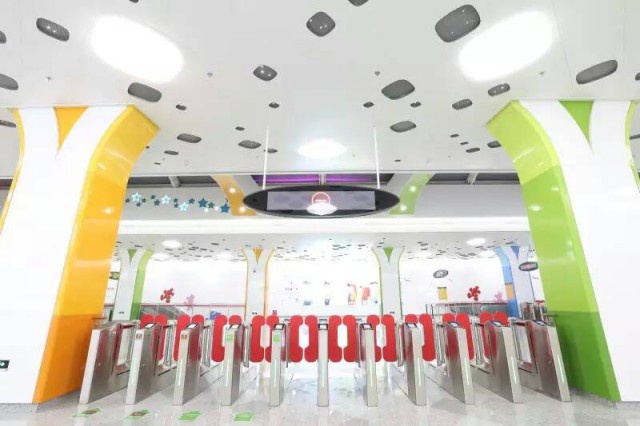 One of the main differences between the new station and others on the network is that security will be much tighter, with all passengers and all luggage being scanned before being allowed entry, it said. Pressure tests will be carried out in the coming weeks to see how the new station copes with the huge numbers of passengers that are expected to use it once the Disney resort opens, the company said. Shanghai Daily - 26 avril 2016. 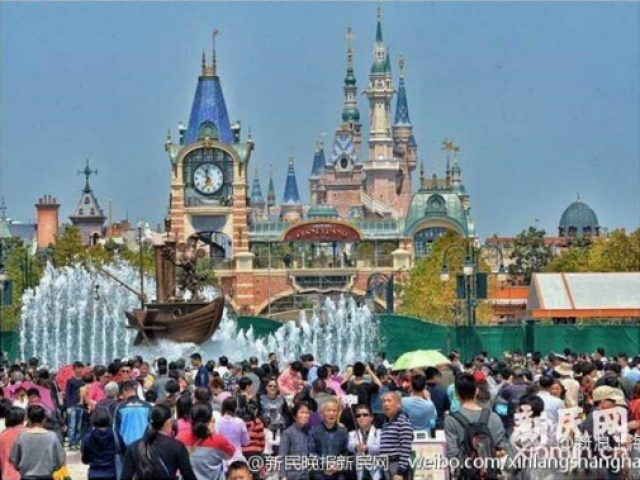 AUTHORITIES in the Pudong New Area yesterday announced the establishment of a law enforcement team dedicated to fighting crime in the Shanghai International Tourism and Resorts Zone, in which Shanghai Disneyland is located. 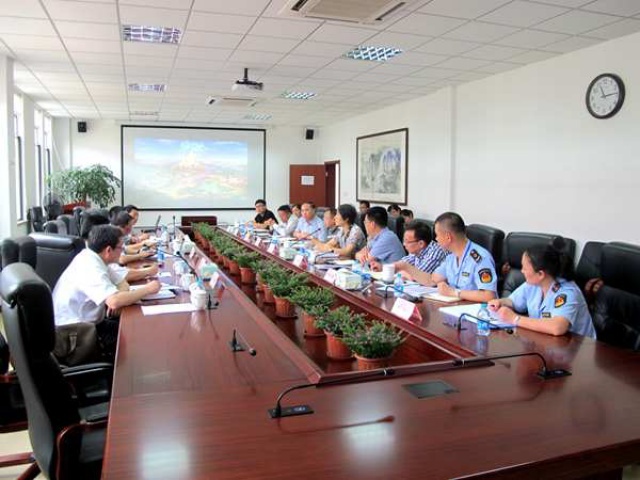 The group will comprise more than 100 officials from police, urban management, market supervision, cultural, tourism and intellectual property rights departments. They will make their first patrols — in vehicles and on foot — today. 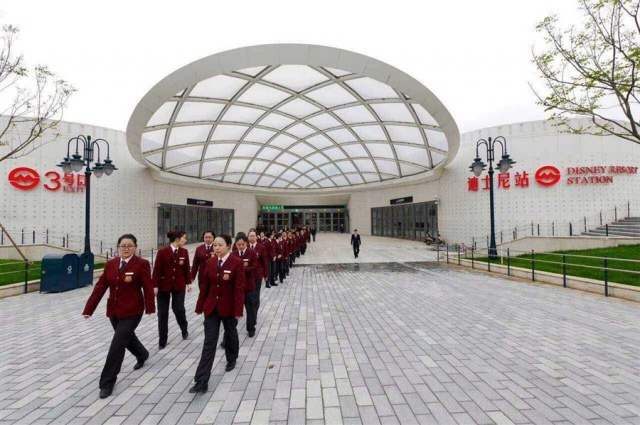 A further 700 assistants and security guards will help to provide widespread coverage of the 7-square-kilometer zone, said Yuan Xingchao, the team’s deputy head. “We will mostly target illegal cabs, unlicensed tour guides and photographers, and unauthorized vendors,” he said. 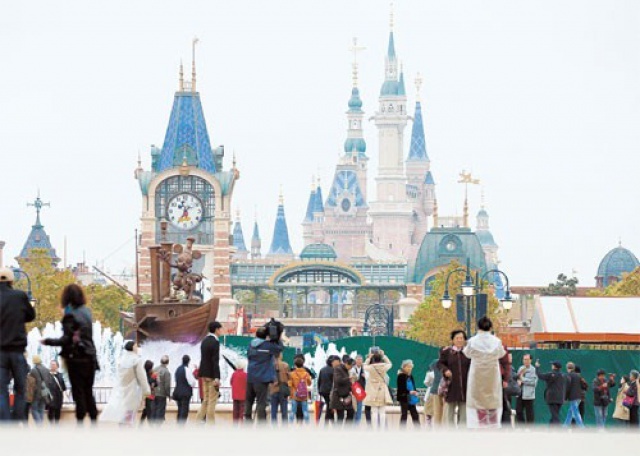 The timing of the launch is designed to let the team gel before the opening of Shanghai Disney, which is now less than two months away, he said. When not doing their utmost to rid the streets of wrongdoers, members of the team will serve as guides and information providers to bona fide visitors to the zone, he said. SHANGHAI Disney Resort has recognized China Eastern Airlines as one of its official sponsors and the sponsor of the resort’s Dumbo the Flying Elephant attraction. 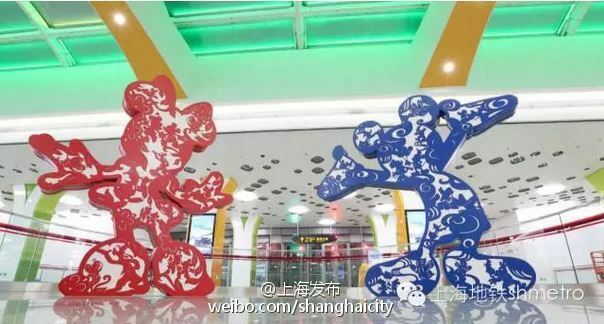 Earlier yesterday, the first in a series of airplanes decorated with Shanghai Disney Resort designs and Disney characters was unveiled. 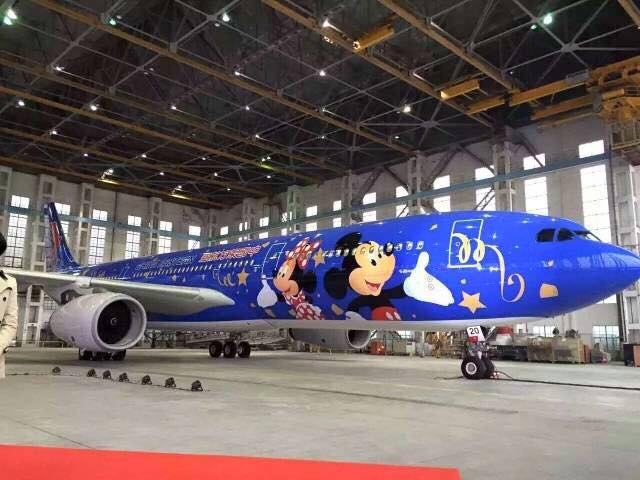 China Eastern will decorate two airplanes with Disney elements including the Enchanted Storybook Castle as well as Mickey and Minnie. Other themed planes will be unveiled in the coming years. As part of the agreement, China Eastern will also sponsor the Dumbo the Flying Elephant attraction, where guests can soar through the air and control how high they fly. Along the way they’ll have spectacular views of Enchanted Storybook Castle and Gardens of Imagination in Shanghai Disneyland. Les responsables de la société de Transport en Commun de Shanghai rappelle une nouvelle fois aux usagers que si la station Shanghai Disney Resort a ouvert ce matin à 10h00, Shanghai Disney Resort n'est pas encore ouvert et reste inaccessible au public ! La nouvelle station, d'une surface totale de 9.890 m², dispose de quatre accès et peut accueillir 19.000 voyageurs. May the 4th be with You in Shanghai Disney Store! 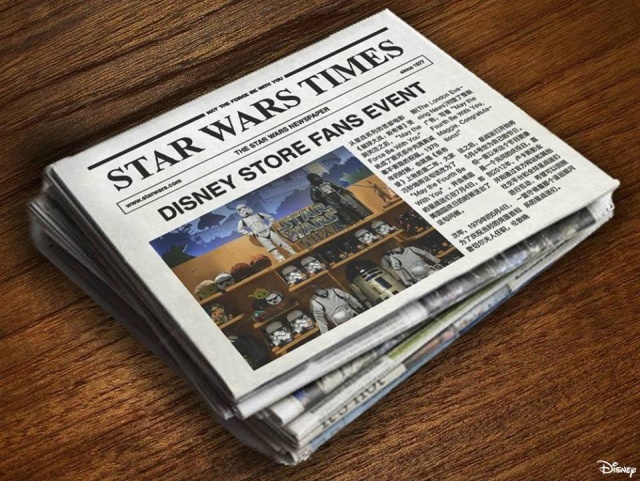 : Evénement Star Wars annoncé au Disney Store de Shanghai Lujiazui la journée du 4 mai prochain ! Thousands take an early look at new Disneytown. 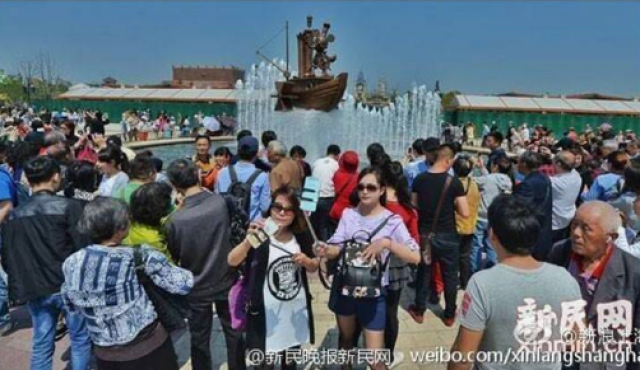 THOUSANDS of Metro commuters visited the new Disneytown complex at the Shanghai Disney Resort yesterday on the opening day of Line 11’s Disney Resort station. 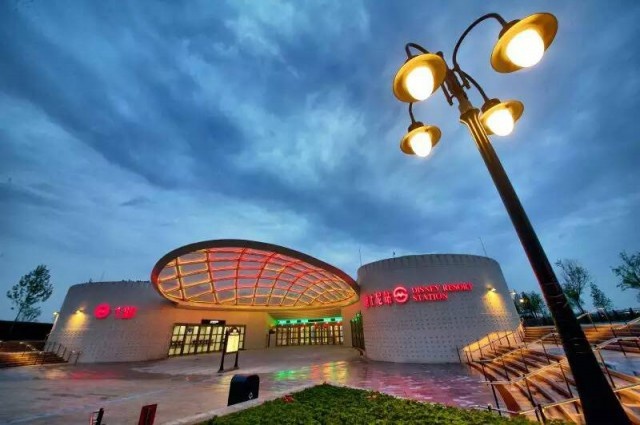 Over 8,000 riders had traveled to the station by 5pm yesterday, according to the city’s Metro operator, visiting the resort’s shopping, dining and entertainment district, which is open to the public free of charge. Disney staff welcomed visitors on arrival, taking photos for them and guiding them through the various unopened shops and restaurants. 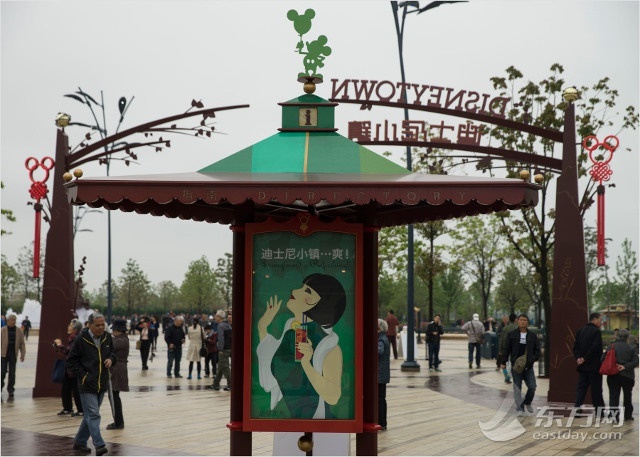 Visitors could also check out the Wishing Star Park and Lake at the station’s No 1 exit, which provides the quickest access to the resort. 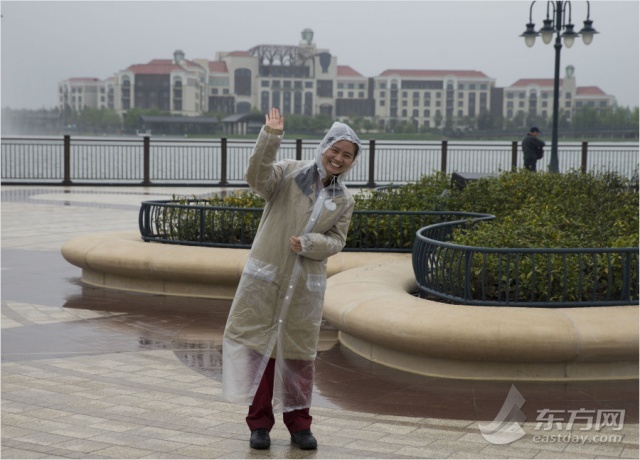 “I am extremely impressed by the staffers here at the resort,” a visitor, Xie Wencheng, 76, told Shanghai Daily. 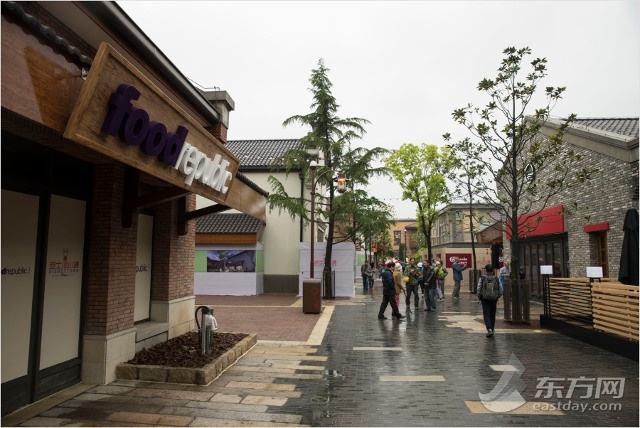 “Though the shops are not open yet, the environment here is comfortable and pleasant,” said another visitor, Deng Xiangping, who was was visiting with her 17-month-old son. However, some were disappointed by the general emptiness of the business district. 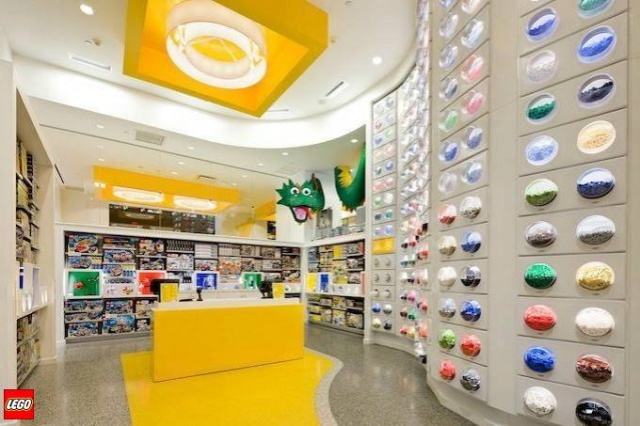 “Everything was closed, and some places were still under construction,” a visitor surnamed Wu said. 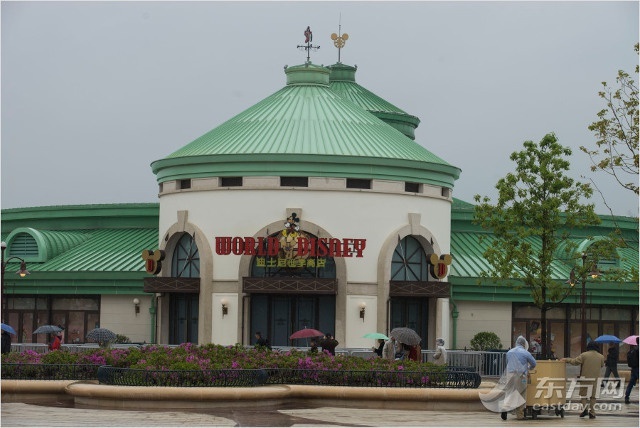 Though the shops are not open yet, visitors can buy disposable raincoats and drinks from service carts. Features of the Disney Resort will include the Wishing Star Lake, which covers about 40 hectares — about the size of 56 football fields. After its opening, visitors will enjoy waterfront dining and shopping, and sunset views, said the resort. At the opening of Disneyland on June 16, Disneytown will be home to 50 businesses, including the first World of Disney store in Asia. Shanghai Daily - 27 avril 2016. About 3,000 passengers have traveled by the line to the station as of this noon, according to the city’s Metro operator. 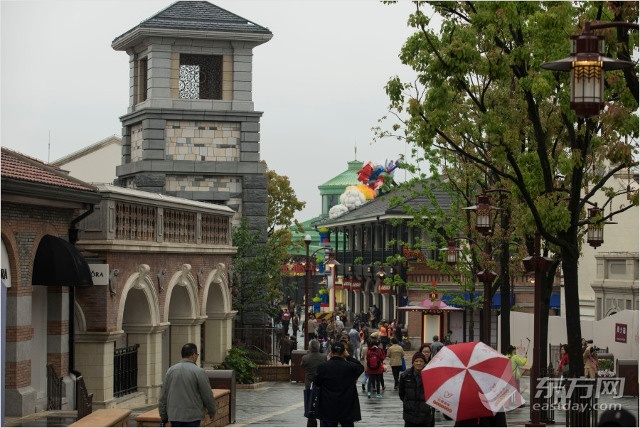 Many of them braved the drizzle to visit the resort’s shopping, dining and entertainment district which has been opened to the public without admission charge. 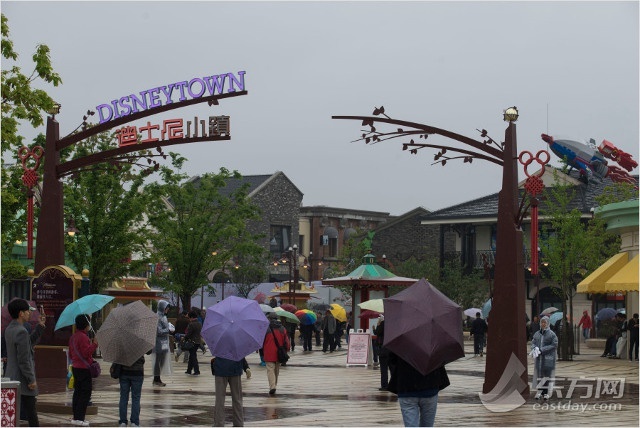 At opening of the Disneyland on June 16, the Disneytown will feature nearly 50 tenants including the first World of Disney store in Asia and a diverse mix of retailers – premium, affordable luxury and fast fashion options – plus restaurants. Other high-profile brands including Food Republic, Coconut Paradise, The Dining Room, Hatsune, blue frog, Xin Wang Restaurant, BreadTalk, Toast Box, and Chow Tai Fook. 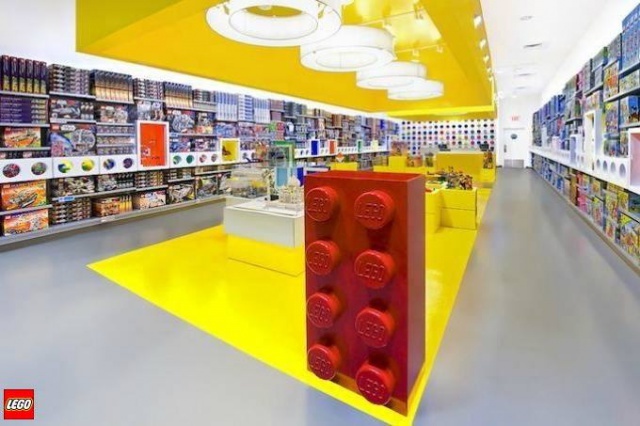 Le Lego Store ouvrirait déjà le 11 mai prochain (à confirmer car la firme danoise annonce toujours officiellement une ouverture au public en juin). 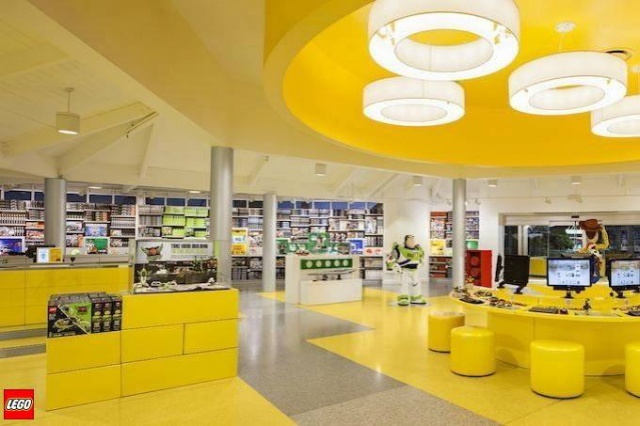 Situé à Disneytown, ce nouveau magasin sera le plus grand magasin lego (plus de 1.000 m²). 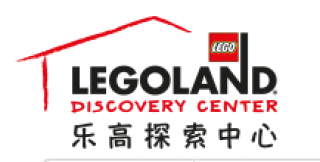 LEGOLAND® Discovery Center Shanghai est situé dans la partie Ouest de Shanghai (L2, No. 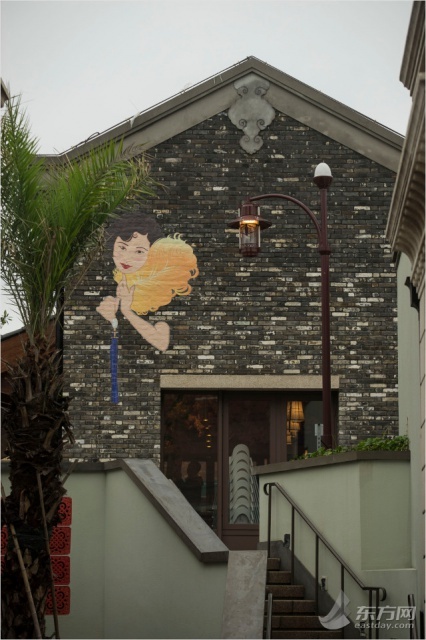 196 Daduhe Road, Putuo District, Shanghai, China 200062) et est ouvert tous les jours de 10h00 à 20h00. L'accès par les transports en commun peut se faire par métro : Ligne 13 (Daduhe Road), Ligne 2 (Zhongshan Park), Ligne 3/4 (Jinshajiang Road) ou par bus : No. 44/67/94/754/837/846/944 (Daduhe Road East Yunling Road). 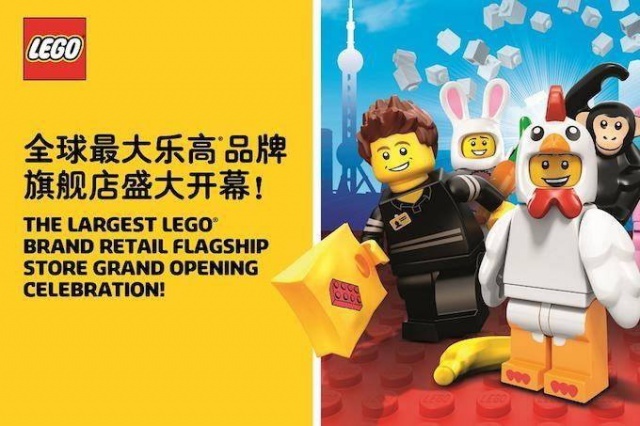 Il existe un billet d'entrée combinant les visites à LEGOLAND® Discovery Center Shanghai, Madame Tussauds Shanghai et Shanghai Changfeng Ocean World. Je me suis rendu aujourd'hui sur le resort. En effet pas mal de monde alors que rien n'est ouvert. Cela confirme l'intérêt des Chinois pour ce parc et de tous les ages. Ce resort est vraiment bien... Même si toutes le boutiques sont fermées le Disney Downtown est vraiment jolie et fait penser à celui de Californie. Cela laisse présager un endroit où il fera bon vivre et de venir passer une soirée. La bonne surprise : Wishing star park. Faire le tour du lac est vraiment agréable, le site est magnifique et très fleuri. Il y a des ponts avec des sols en verre, ce qui est assez sympa. 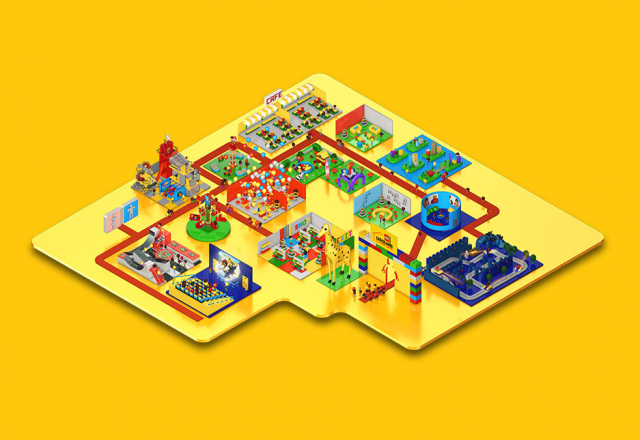 L'espace de jeu pour enfants ( Dragon fly ) est bof mais ça reste une bonne air de jeu. Il y a d'ailleurs des jeux avec de la musique et personne ne comprend ce qu'il faut faire. Les Cast member sont déjà au top avec de grands bonjours et "Have a magical day". Sinon le World of Disney ouvre le 07/05 date des soft opening. 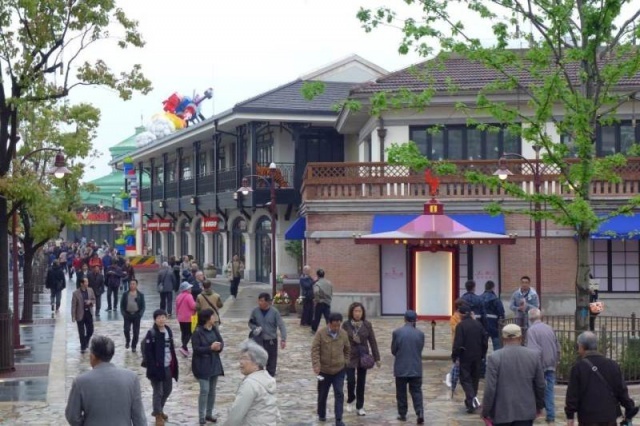 A la veille de la Fête du Travail et de ses trois jours de congé (du 30 avril au 2 mai), Shanghai International Tourism Resort Zone communique à nouveau à la population de Shanghai, rappelant une fois de plus que si la station de métro Disney Resort Station était en service, le parc Shanghai Disneyland n'est lui pas encore accessible et que tous les commerces et restaurants ainsi que la salle de spectacle de Disneytown sont toujours actuellement fermés ! 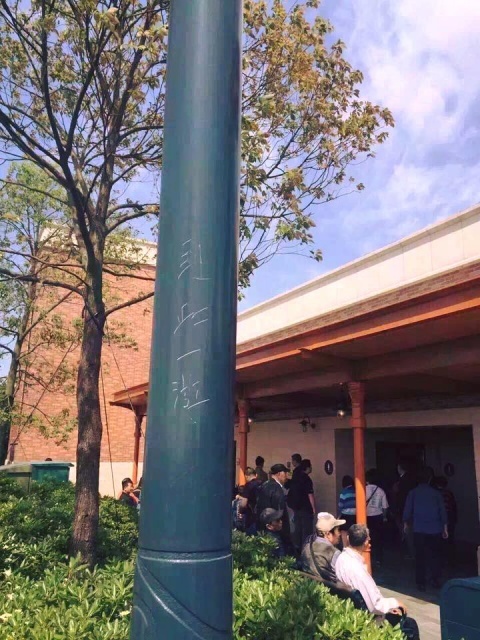 Il est recommandé au public de ne pas se rendre en masse à Shanghai Disney Resort ce weekend ! Les Shanghaïens profitent de la Fête du Travail et de ses trois jours de congé (du 30 avril au 2 mai) pour se rendre en métro à Shanghai Disney Resort. Vous noterez le ciel bleu sur ces deux photos publiées sur le réseau social chinois Weibo ! Les premières semaines ça va être la tuerie ! Je souhaite bonne chance à tous les personnes ayant réservé pour le premier mois car avec l'énorme foule qu'il y aura, plus les médias, je pense que ça va être difficile de bien profiter du parc. J'avoue que je suis vraiment étonné. Je suis prof de français à l'université de Shanghai, j'ai demandé à mes étudiants s'ils voulaient y aller, mais ils n'avaient pas l'air super emballés globalement. Ce que je trouve étonnant (et assez génial je dois avouer), c'est le nombre de personnes âgées qui sont curieuses et qui y vont. The exciting Shanghai Disney Resort Themed Exhibition arrives in Hangzhou today, after its two successful stops in Shanghai and Nanjing. Guests can visit a magical Disney exhibition inside local malls, part of the celebration leading up to the resort’s official opening on June 16. 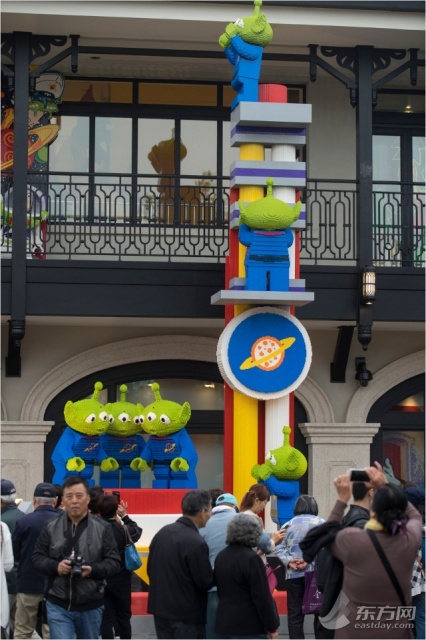 The exhibition will transform Xixi in City into a special Shanghai Disney Resort experience from April 30 – May 10. The entertaining exhibition will showcase the creative highlights of the resort through themed exhibits, interactive multi-media presentations, lively performances and special Disney Character interactions. The traveling Shanghai Disney Resort Themed Exhibition will make stops in five major cities throughout China, including Hangzhou. At each stop, local families and friends will be invited to enjoy a sneak preview of the unique Disney storytelling experiences and innovative attractions and entertainment, all of which have been created especially for Chinese guests. 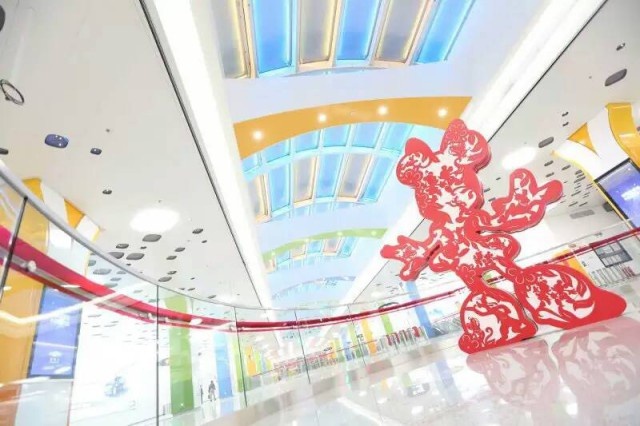 The exhibition will inspire excitement for the grand opening and will help guests of all ages understand how a visit to the new Shanghai Disney Resort will “Ignite the Magical Dream” within their hearts. 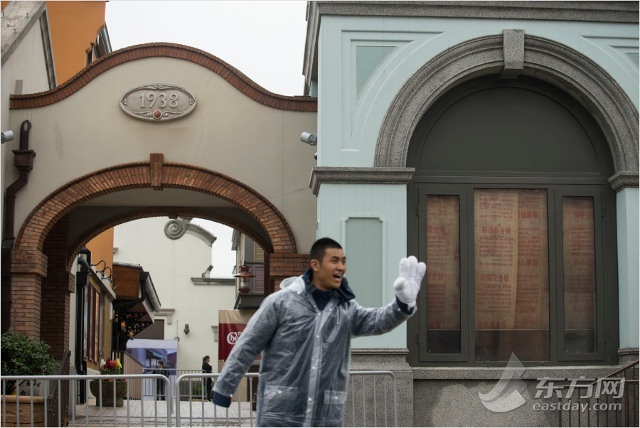 At the magical Disney experience inside Xixi in City, guests will embark on a fun-filled journey through the themed Shanghai Disney Resort exhibits. 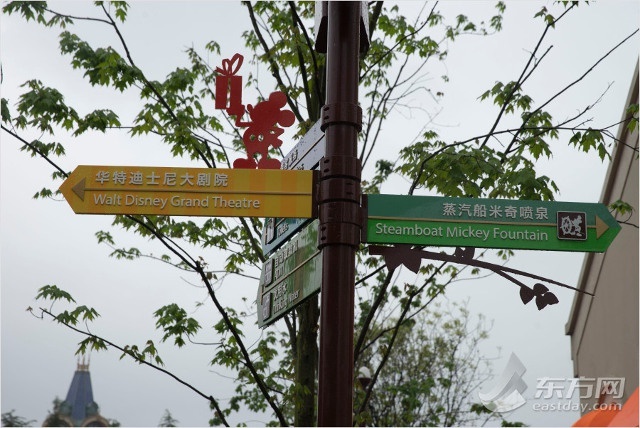 Guests may stroll along the welcoming “street” known as Mickey Avenue before visiting the Gardens of Imagination display where they are able to complete a digital puzzle inspired by the Disney-themed Chinese zodiac symbols. Guests may interact with the Magic Mirror from the classic story “Snow White and the Seven Dwarfs” at the Fantasyland exhibit, then take off to Tomorrowland where an exciting video will give them a taste of the speed and thrills of TRON Lightcycle Power Run. They can snap a share-worthy, fun photo of themselves scaling Roaring Mountain at the Adventure Isle exhibit, and then sail off to the Treasure Cove display to relive scenes from “Pirates of the Caribbean” through an interactive game. 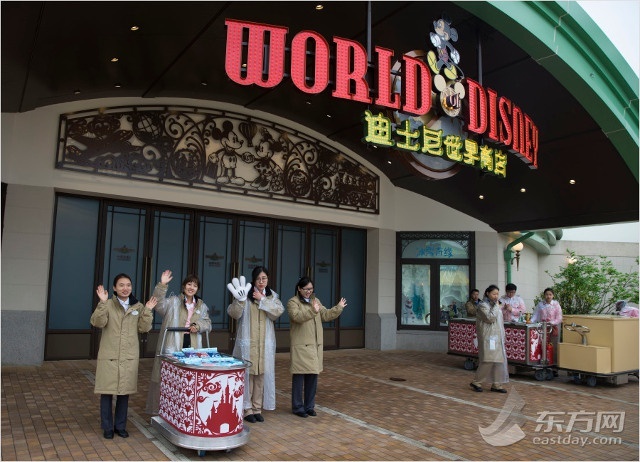 Guests will definitely want to visit the hotels exhibit to learn about the world-class accommodations at Shanghai Disney Resort, as well as the Disneytown display to see highlights from the hit Broadway musical THE LION KING, which will be presented at Shanghai Disney Resort for first time ever in Mandarin. During the exhibition, from April 30 to May 2, on May 7, 8 and 10, special shows will be presented at 11:00, 14:00, 16:30 and 19:30 with cheerful dancers taking to the stage for brilliant performances. During the stage shows, beloved Disney characters Mickey Mouse and Minnie Mouse will mingle with the audience, spreading their own magic and happiness to “Ignite the Magical Dream”. Shanghai Disney Resort - 1er mai 2016. Les chinois natifs de Hong Kong ont un avis assez tranché sur leurs compatriotes du Continent en visite à Hong Kong Disneyland. 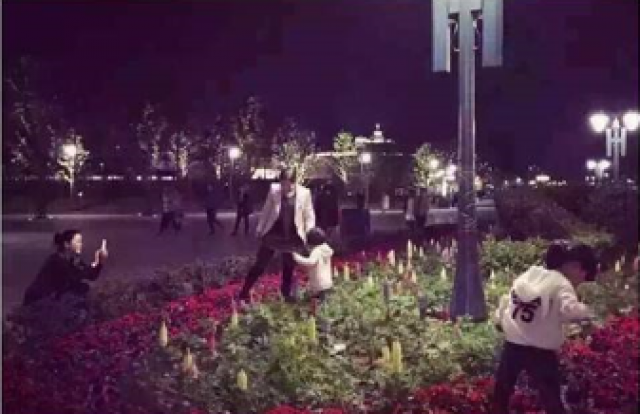 Peut-être leurs critiques sont-elles justifiées à la vue de ces photos prises ce weekend à Shanghai Disney Resort ?